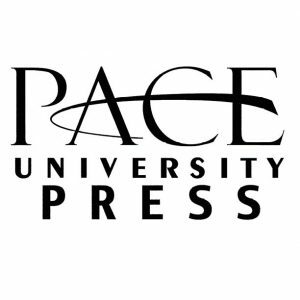 Pace University Press presents the second volume, second issue of Perspectives on Early Childhood Psychology and Education, a journal that sheds light on child psychology and early childhood education. Volume 2, Issue 2 focuses on gender nonconformity and identity in children, as well as parenting styles. Articles include “Gender Nonconformity and Gender Identity: Resources for Early Childhood Educators” by Amy E. Tiberi and Tammy L. Hughes; and “Old Roads, New Paths: Men’s Childhood Relationships with Their Fathers and Their Current Parenting” by Karen E. McFadden, Jacqueline D. Shannon, and Catherine Tamis-LeMonda. This issue also includes an introduction and editor’s note by Perspectives editors Vincent C. Alfonso and Florence Rubinson, as well as additional articles: “Parental Responses to Childrens’ Gender-Nonconforming Behavior” by Victoria D. Kolbuck, Diane Chen, Marco A. Hidalgo, Gia Chodzen, and Robert Garofalo, and “What Does Daddy Do? Father Participation in Early Mathematical Activities” by Patrick D. Repasky, Robin L. Hojnoski, and Brittany N. Zakszeski. 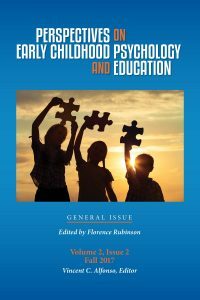 Perspectives on Early Childhood Psychology and Education (ed. Vincent C. Alfonso) is a psychological and educational journal that gives perspectives on infants and young children, their families, and their caregivers. Perspectives is published twice a year, each volume containing a focus or general theme relating to childhood psychology. To receive information on distributing Perspectives to your membership, please contact Erica Magrin or visit our website: www.pace.edu/press and join us on LinkedIn. Single copies are available for $40. Organization discounts are available upon inquiry.